It came to Mrs. Russ in a dream. She came awake and sat up in bed as if a light had been turned on inside her head. It was like this: she was all alone in the world and her life really hadn’t amounted to much. She had been grasping and selfish her entire life, rarely thinking of others. There might still be a chance for her to do some good, though. She would sell everything she had and give the money to the poor, just like it says in the Bible. She would start by deeding the house to the church. When she had her attorney, Vernon Bluet, on the phone, she told him what she planned to do. “And where are you going to live after you’ve given your house away?” he asked. “I like a man who admits he knows nothing,” she said as she stuck a cigarette in her holder and lit it. “If you were my own mother,” he said hesitantly. She emptied out the closets upstairs, unearthing some garments she hadn’t seen in over thirty years. She threw away the things that she thought nobody would want and boxed up the rest to give to charity. She kept out one change of clothes for herself, a pair of shoes, and a few personal items. 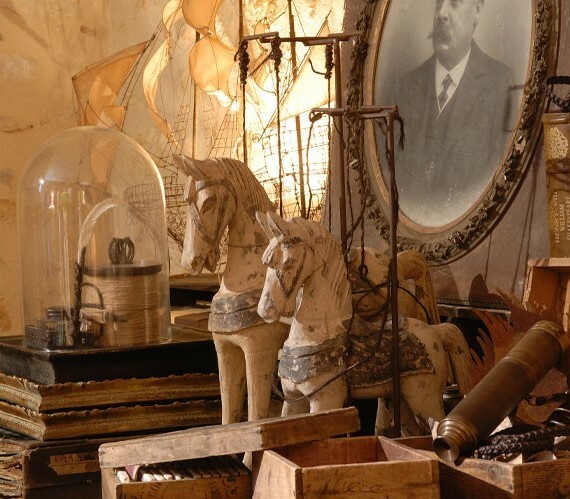 A man who dealt in antiques and second-hand furniture was interested in buying most of the furniture, especially the dining room table, chairs, and sideboard that were over a hundred years old and the beds, dressers and chest of drawers in two of the bedrooms upstairs. (He knew someone else who would buy all the rest of the stuff, including the cast-off furniture in the attic and the old piano that hadn’t been played in fifty years.) When a price was agreed upon, she told him to send the check to the church as a charitable donation for the poor with her name attached, which he agreed to do before his men came to pick up the stuff. The auction people made an inventory of everything else in the house, which would all be sold in one day at public auction. They arranged all the most valuable items in the living room and dining room: family heirlooms, an antique violin that belonged to her uncle, china and silver, her husband’s book and music collections, gun and coin collections, paintings, artifacts, bric-a-brac, and objets d’art. They took pictures to be used in flyers and newspaper advertising. It rained the day of the auction, but that didn’t keep people from coming. At first there were about thirty, which increased to fifty, then eighty and then more than a hundred. People were allowed to come into the house and look over the items to be auctioned before the bidding began. From the beginning the auction was a success. Items sold briskly and brought handsome prices. Mrs. Russ stood to the side with a smile on her face, her hands folded in front of her. She didn’t know most of the people but recognized a few of them from the neighborhood. The minister from her church, the Reverend Frankie Finkle, was in attendance and purchased an antique crystal vase and a table lamp. When nearly all the items had been sold and the sale was coming to an end, Vernon Bluet, her attorney, stopped by. “The sale has exceeded our expectations,” she said to him happily as he came through the door. “There isn’t anything you want to keep for yourself?” he asked, looking around. She didn’t answer but only smiled her mysterious little smile. “I just hope you know what you’re doing and don’t come to regret it,” he said. She arranged to meet with him the next day at three o’clock to sign the papers to complete the transfer of the house. After the auction was over and all the people had left, she walked through the house she had lived in for over fifty years, marveling at how different the rooms seemed after they had been stripped of all that had given them character. It was just four walls and nothing more. It meant nothing to her. That night she slept on a pallet on the floor in her bedroom, reduced to the bare necessities. It would be the last night she spent in the house. Now it belonged to somebody else. On her way to the attorney’s office the next day, she stopped at the bank to get the deeds to her house and car from her safety deposit box. When she arrived at his office, he was waiting for her. He greeted her warmly and showed her to a comfortable chair. “Any regrets?” he asked her. He showed her where she needed to sign and in a matter of a few minutes the transaction was completed. She signed her car over to him, as well as the house, and gave him all her keys. Before she left, he insisted that she take a glass of brandy with him, since it was unlikely they would ever meet again. “It isn’t practical, though, to feel that way,” he said. “Practical isn’t always the same to everybody,” she said. “As a favor to me, take this.” He opened his desk drawer and counted out five one-hundred dollar bills and handed them to her. “I don’t want any money,” she said firmly. She took the money with a shrug and stuffed it into her purse and stood up. They shook hands and then she was gone. She walked five blocks until she came to a bus stop. She waited and when a bus came along she boarded it and took a seat beside the window. She didn’t know where the bus was going but it didn’t matter. She still believed all would be revealed. All she had to do was go where she was directed. The other people on the bus seemed dazed and lifeless, as if they had just come from waging battle. The bus crept onward through traffic, stopping frequently to discharge or take on passengers. Soon they entered a part of the city Mrs. Russ had never seen before or hardly knew existed. On both sides of the streets were dilapidated tenement buildings, pool halls and taverns. Some of the buildings looked as if their insides had been bombed out. At an intersection, a car on the cross street failed to stop at the stoplight and rammed into the side of the bus. The bus driver dismounted and, waving his arms, engaged in furious conversation with the driver of the car, who seemed to be drunk. The passengers came alive, standing up to see what was happening and chattering excitedly. The car hitting the bus caused Mrs. Russ to strike her head on the metal frame that went around the window. She covered her eyes, experienced a moment of dizziness, and when she took her hands away she didn’t know where she was or why she was on a bus. She never rode on buses! The passengers filed off the bus to wait for another bus to come along and pick them up, which might take as long as a half-hour. While they were standing in a bunch on the sidewalk, Mrs. Russ disengaged herself from the others and walked away. She walked three or four blocks, not knowing where she was going but knowing only that she wanted to go home. Her feet hurt, she was tired, and she had a headache. The worst part, though, was not knowing where she was going or why. There was a gap in her consciousness. Something happened but she couldn’t quite fit the pieces together. She tried to remember if she had been sick or had an operation. She walked until she believed she couldn’t walk any farther. She believed for a while that someone was following her but when she turned around and looked behind her, no one was there. A man standing in a doorway looked at her; he smiled in what she thought was a suggestive manner and flicked cigarette ashes at her. She clutched her purse to her chest and walked on. When she came to a hotel on a corner, she went into the lobby. It seemed cool and quiet, somehow inviting, after the street. The desk clerk saw her come in and put down the newspaper he was reading. He was bored and hoping for a little diversion. She gave him a confused look and opened her purse, seeing the wad of bills just inside that she didn’t know she had. She took them out and, after counting them, handed him a hundred-dollar bill. She nodded her head. He gave her a key and pointed up the stairs. She took the key gratefully and found the room and let herself in. After she had locked the door behind her, she took off her shoes, sat down and took a few deep breaths. She felt better now that she was in a room by herself, off her feet, and with nobody looking at her. After she sat quietly for a few minutes, she would be all right again. She nodded off and woke up to a siren on the street outside the hotel. She jumped to her feet and ran to the window. It was raining now and nearly dark. And in the drops of water on the pane of glass before her eyes were all the missing pieces, now found.